The Bonfires of Social Enterprise visits with Bamboo Detroit,a business incubator site in a historic Detroit building. Romy talks about why this place has a more “homey” feel to it than other businesses like it, with Bamboo Detroit’s “Community Lady’ Amanda Lewan. Despite it’s name, Detroit Bamboo isn’t an exotic Asian restaurant. 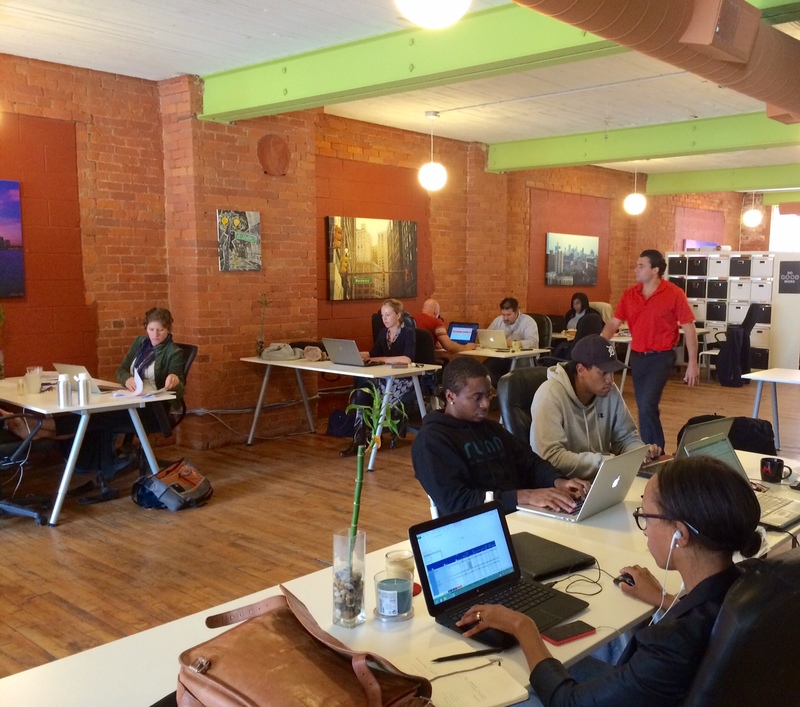 It’s a L3C company, located at 1442 Brush St, Suite 200, in downtown Detroit near the corner of Gratiot and Brush. On the web Bamboo Detroit lives here. According to the online sources there are many benefits to working in a business incubator, which started becoming prevalent in some areas of the country in the 1970s and 1980s. These benefits include sharing basic operating costs; administrative assitance; and least but not last, comradship amongst your fellows who work in the same space. Romy Gingras finds out why Bamboo Detroit was born, and what inspired it to be open 24 hours/7 days a week. The interview also explores why this work cooperative offers open workspaces and other amenities, and the types of small businesses that are attracted to work space. In addition Romy and Amanda talk about the types of events that Bamboo organizes and what is behind the scheduleing of these events.